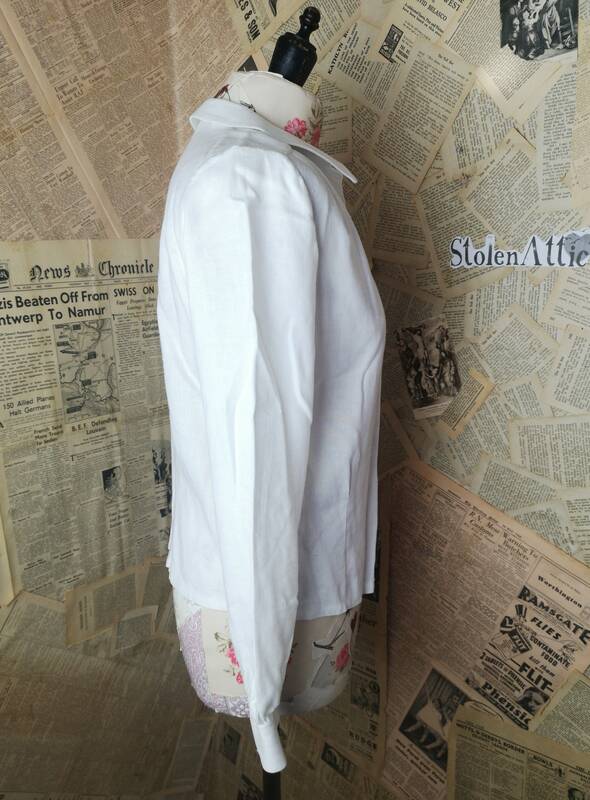 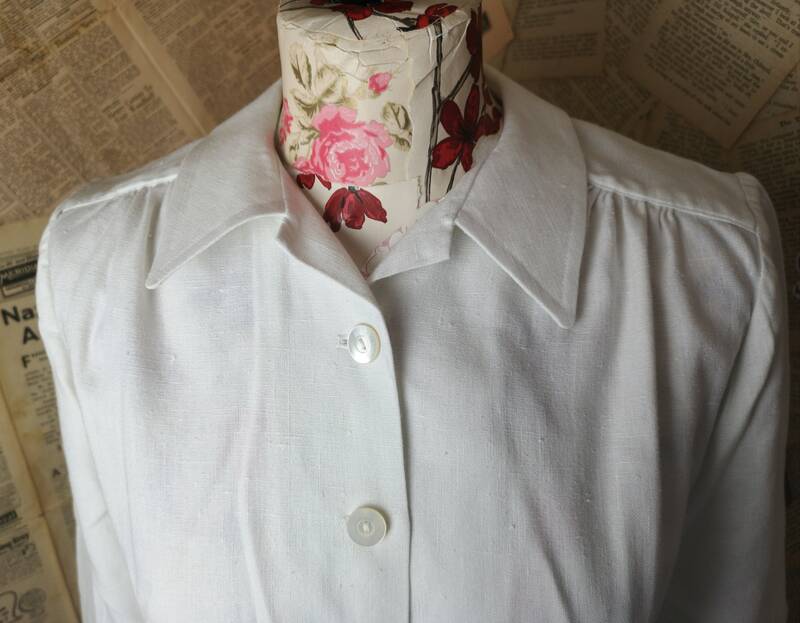 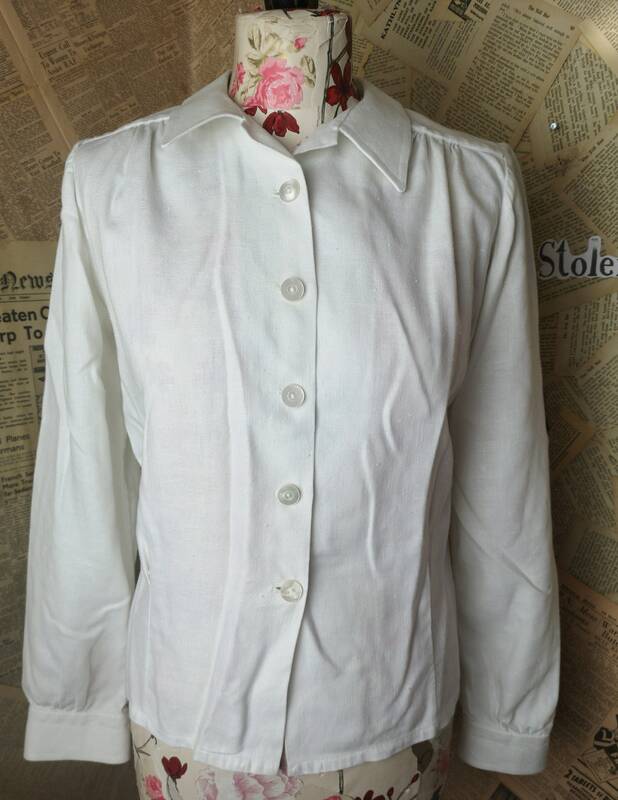 A 1940's mixed linen blouse in off white. 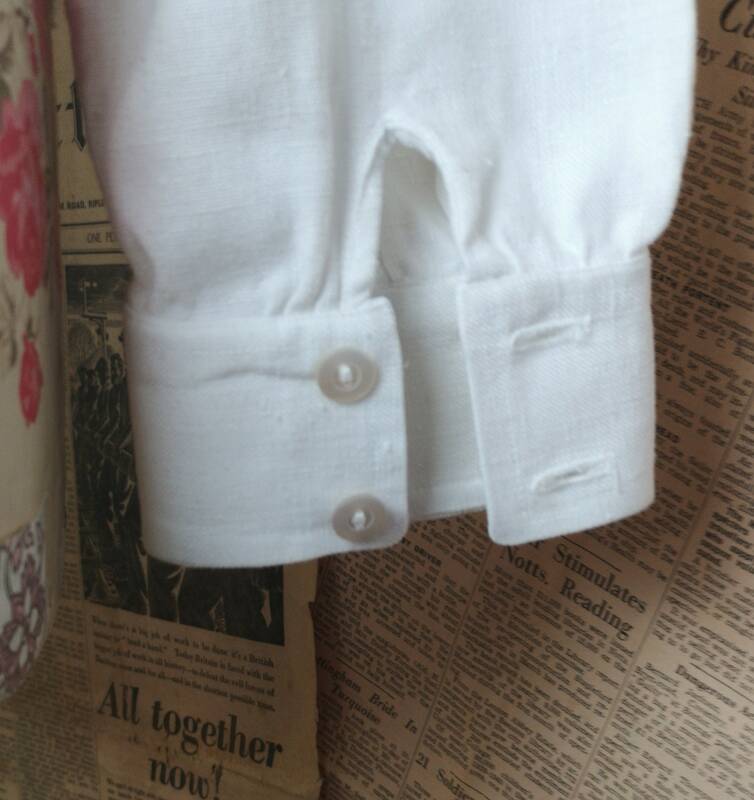 Made by Trubernised who also made gents collars in the wartime era and were a registered trademark, making starch like garments from a secret blend of fused fibres. 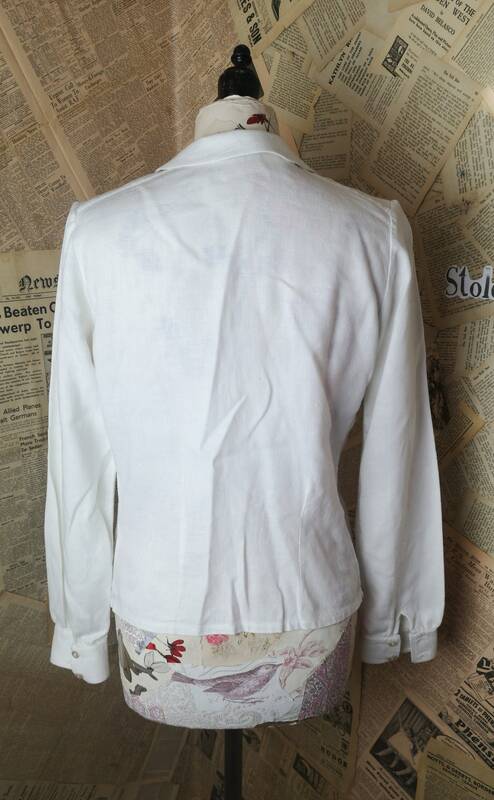 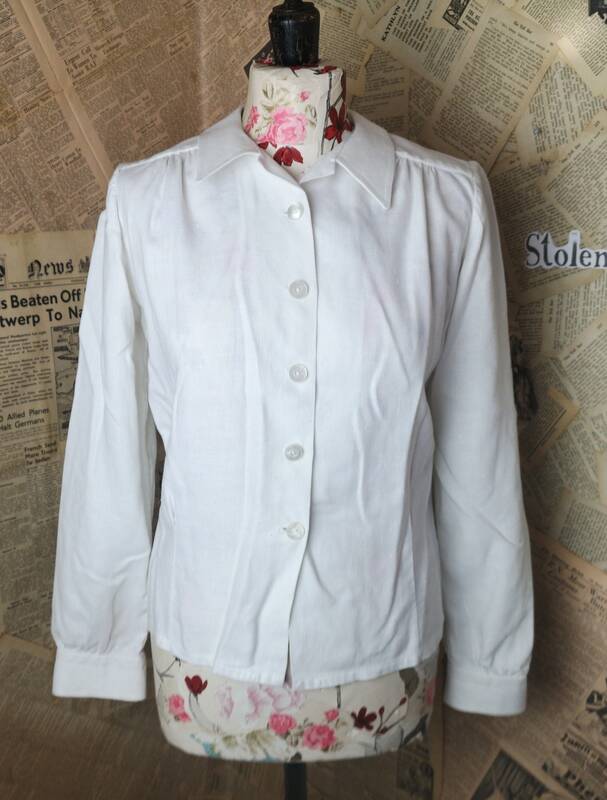 It has a simplistic design with a button up front and cuffs which have mother of pearl buttons. 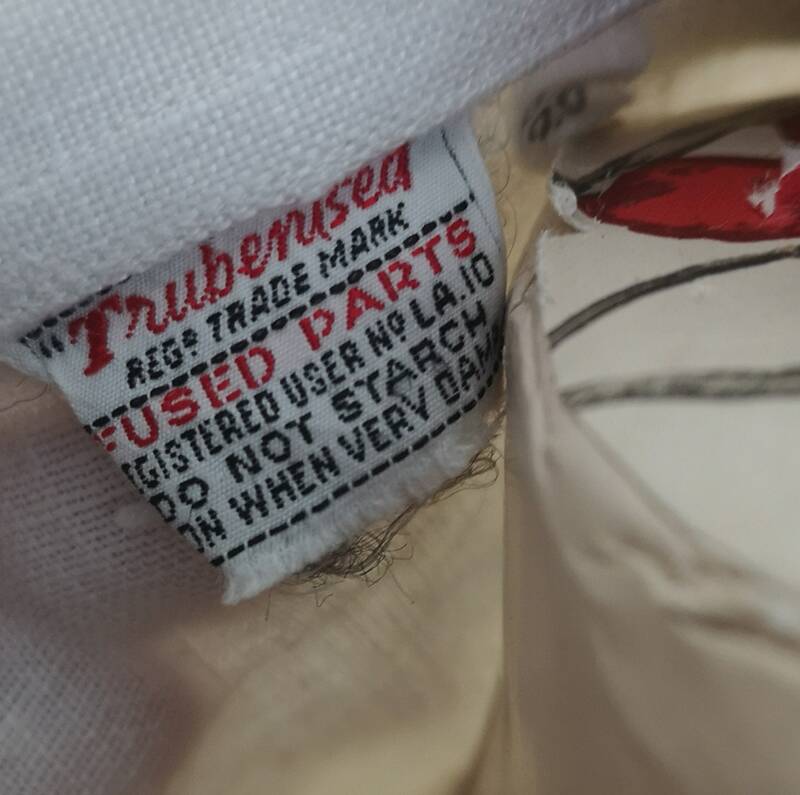 It is labelled but not sized. 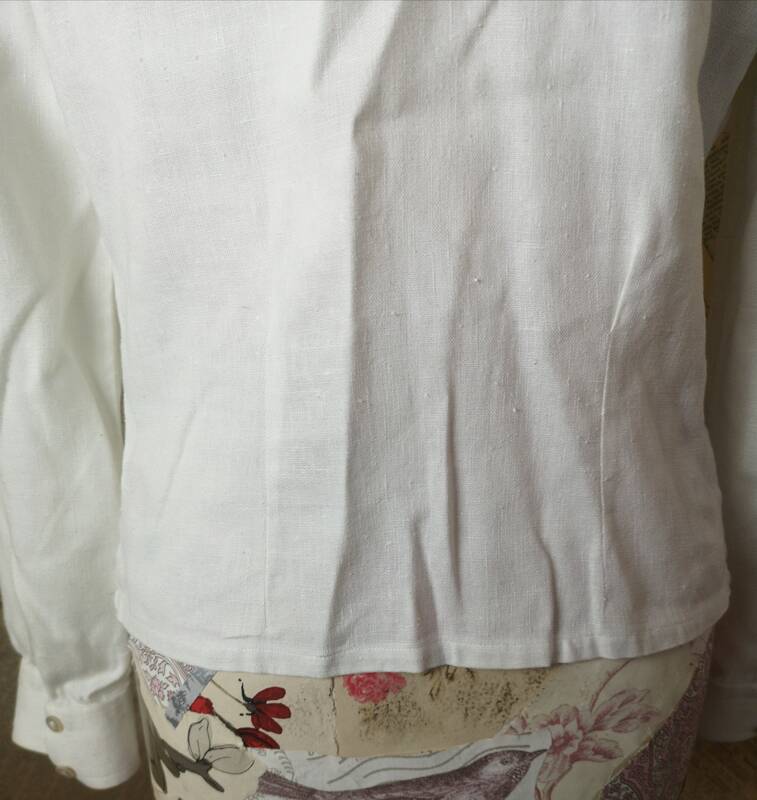 Condition is good overall, some snags but no tears or massive stains.